Holiday letting agency cornwallscottages.co.uk is reporting a 10 per cent increase on the number of visitors booking online and a 3.5 per cent increase on bookings overall, compared to this time last year. The Truro-based company has significantly added to its portfolio in the last twelve months and is now marketing more than 120 properties via its two websites www.cornwallscottages.co.uk and www.stmawesholidays.co.uk. As a result, occupancy rates have gone up by 209 per cent but, to get a more accurate picture, the year on year comparison has been done by looking only at the properties being let by the business in both 2010 and 2011. “We have expanded very quickly but there is absolutely no doubt that visitor numbers for this year are rising significantly,” said Managing Director Richard Beaman. “We are also experiencing a real surge in online bookings. Almost 75 per cent of our customers now book and pay for their holiday online – up ten per cent from last year. Just as Amazon reported a massive increase in online sales over Christmas, it seems that more and more people are buying their holidays on the internet too. 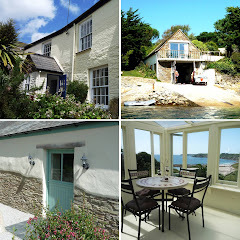 Cornwallscottages.co.uk offers a wide range of properties to suit all tastes, group sizes and budgets. The business was first established in 2008 with just three cottages on its books.